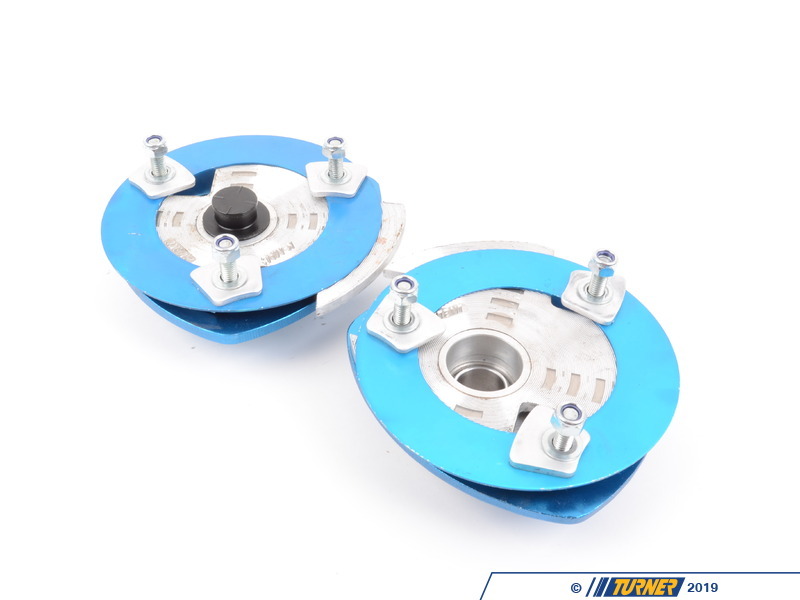 KMAC Stage 3 camber/caster plates are designed for track or race-only situations where comfort and noise are not the primary concerns. 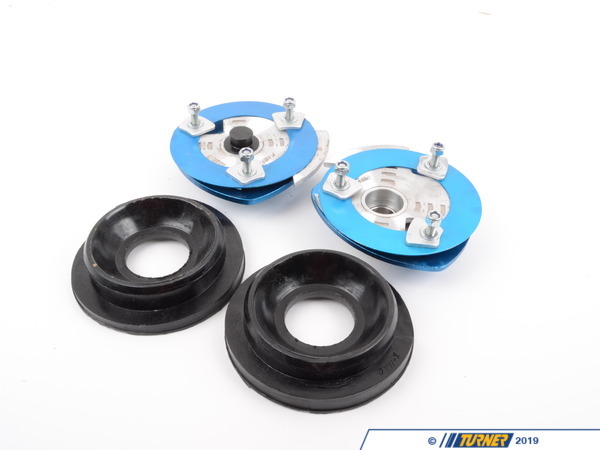 The Stage 3 camber plates use a pillowball bearing, solidly mounted within the camber plate for direct alignment of the strut shaft and no excess play or deflection. Stage 3 are designed to increase negative camber with their patented 'floating' adjustment that changes camber and caster together. This design allows maximum range of adjustment since no other hardware interferes with the adjustments. Fitment is limited to race-only small diameter coil-over springs (not stock-type). 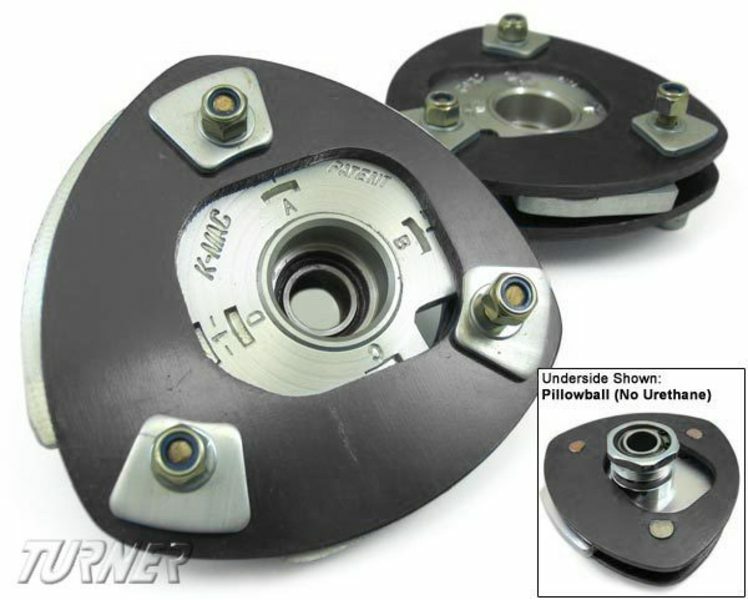 Bearing inserts and adapters included. Detailed instructions included. 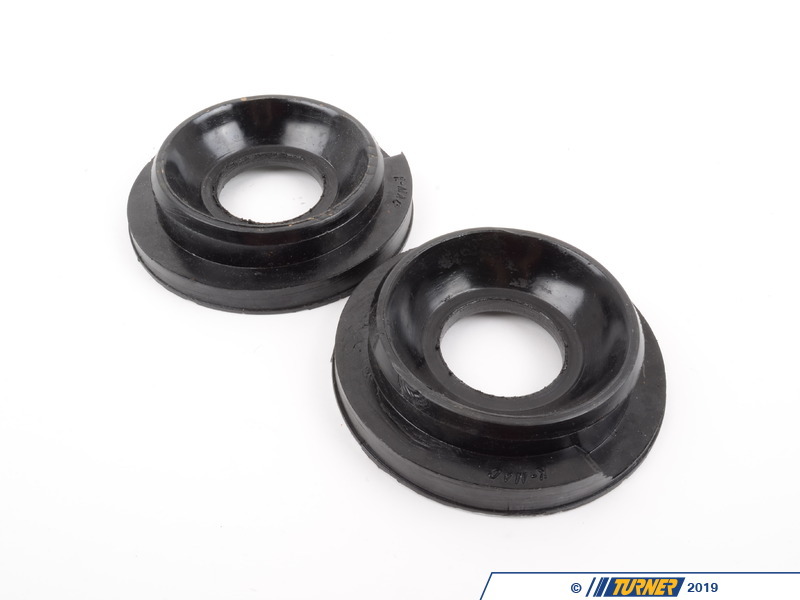 Note: suspensions vary from manufacturer to manufacturer. Turner Motorsport cannot be responsible for fitment issues caused by non-stock or specialized coil-over suspensions. As with any race-derived component, additonal fabrication may be required.